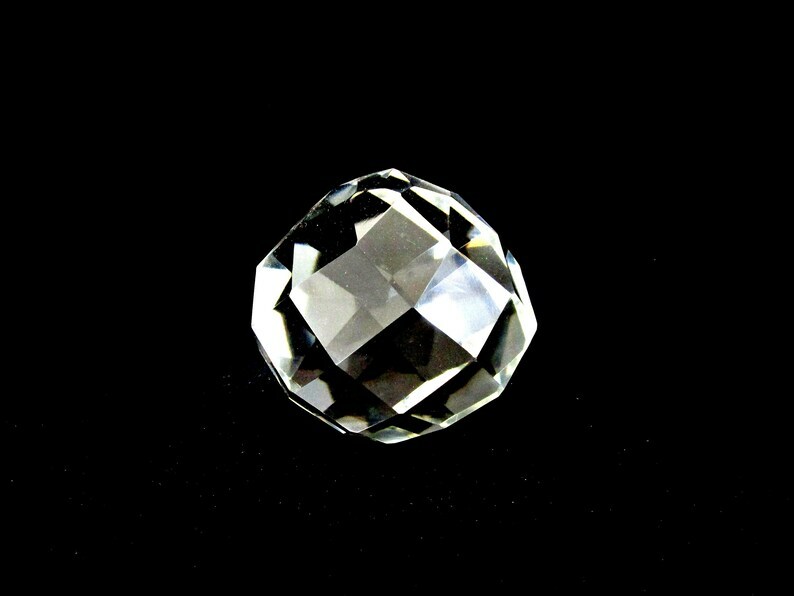 Gorgeous, and highly reflective, this faceted lead crystal paperweight weighs in at over 2lbs. Meaningful and memorable Retirement or Promotion Gift for someone special. Measures 4 inches in diameter, definitely big enough to be noticed. Wonderful condition, no cloudiness, sits straight and true, absolutely no chips or cracks. Love it! And I received it EXTREMELY FAST!